A block puzzle makes you smarter. This game is very simple rule. Play and train your spatial ability. The rules are simple. 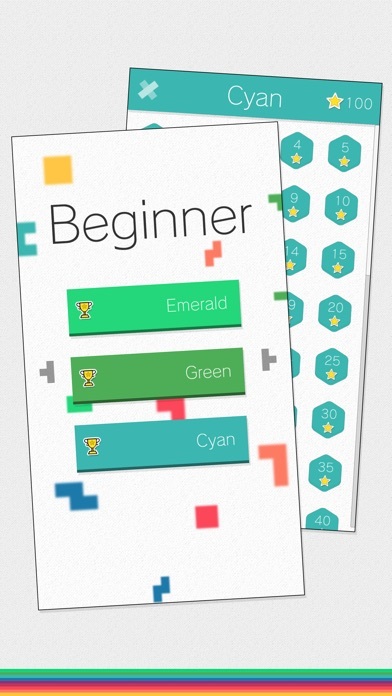 You only correctly fill in the designated spaces with blocks of various shapes. There are three levels of difficulty in all. Amazingly, there are 1800 different stages. Includes support functions such as hints. 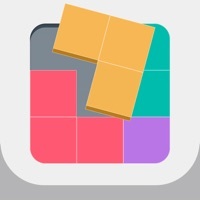 Fits is a block puzzle that was created on the basis of tangrams. Tangrams are one of the most familiar of the silhouette puzzles, where you create shapes that are presented as problems. 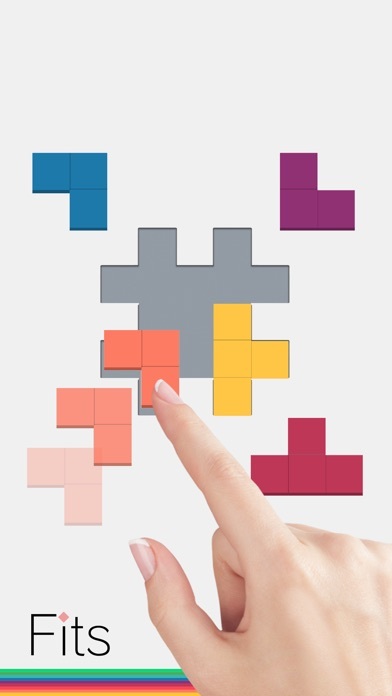 It is a puzzle that uses squares cut into multiple pieces. Let's train your brain with Fits! Out of 40 boards 2 of them are missing pieces. I close the ad and still no missing piece? So frustrating, otherwise pretty good. I love this game, definitely entertaining. You will spend most of you time watching ads and clicking the “x” to close the ads. Deleted it after 5 minutes of playing because of how bloated it is with constant ads. Game would be decent, if it weren’t for the incessant Ad after Ad upon completion of every puzzle. If there’s 100 puzzles a tier, and the post-puzzle win Ad makes me wait (at minimum) 5 seconds to “X” out of it, that’s almost 8.5 minutes of advertisement per tier. There’s what, 3 tiers, about 300 puzzles? Almost 25 mins cumulatively C’mon now. Ok so every time I complete a level the game crashes. And j just find this an awful game. IF ANYONE FINDS THERE ARE TOO MANY ADS, TURN ON AIRPLANE MODE. IT TURNS THEM ALL OFF. Seems like a worthwhile game if there were not random add interruptions and adds after every passed level. Not only are the adds the basic, informational type adds, but each follows with a sample game. Pieces are hidden behind ads. It’s impossible to play. Ads after each level. UI is underwhelming and super basic. I do not recommend this game. After every level completed, there is an ad.